Hey there! 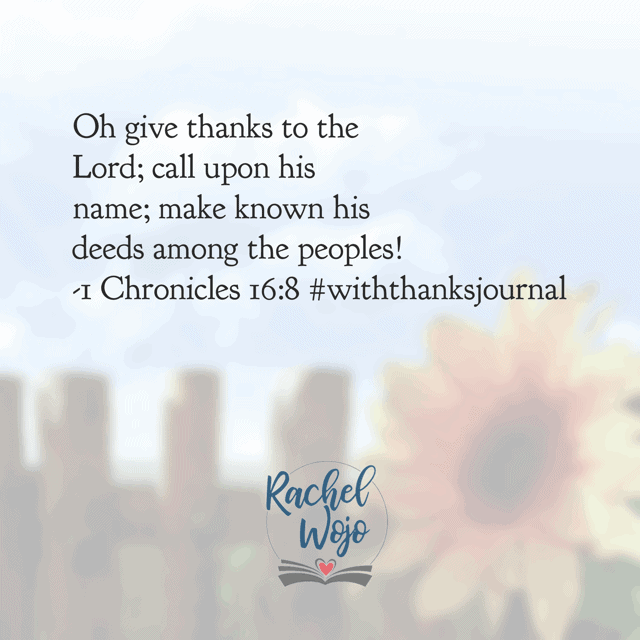 Welcome to the With Thanks Bible reading challenge week 1 summary! What does that mean? Each month I host a Bible reading challenge and each week we take a look back at the previous week of verses so that we can review and retain what we are learning. Maintaining an individual quiet time without any accountability can be tough. 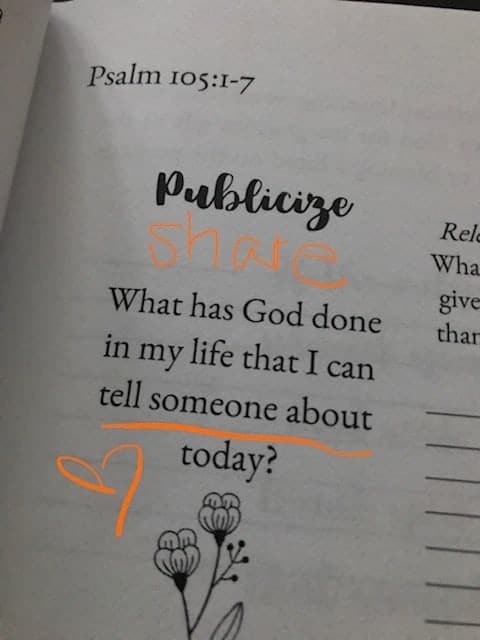 If your desire is to grow your faith and be encouraged in your personal walk with the Lord, then following along the Bible reading plan with our community is a great way to do just that! 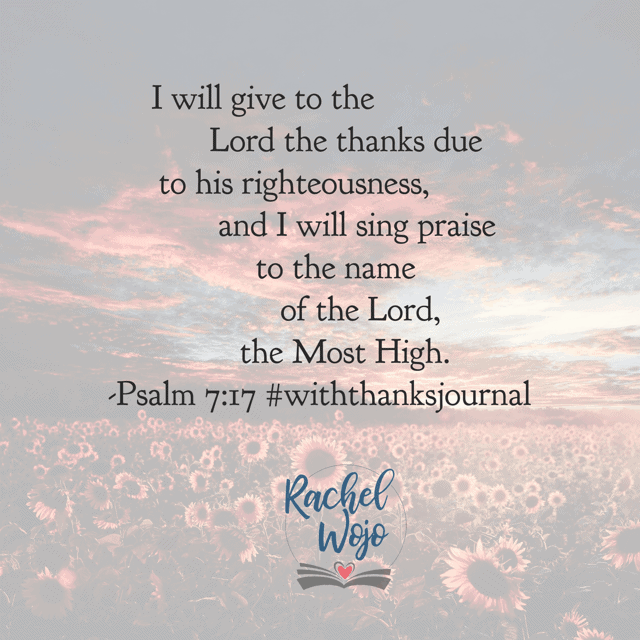 This month we are cultivating a grateful heart as we read passages about giving thanks to the Lord. Check out what we’ve read so far! 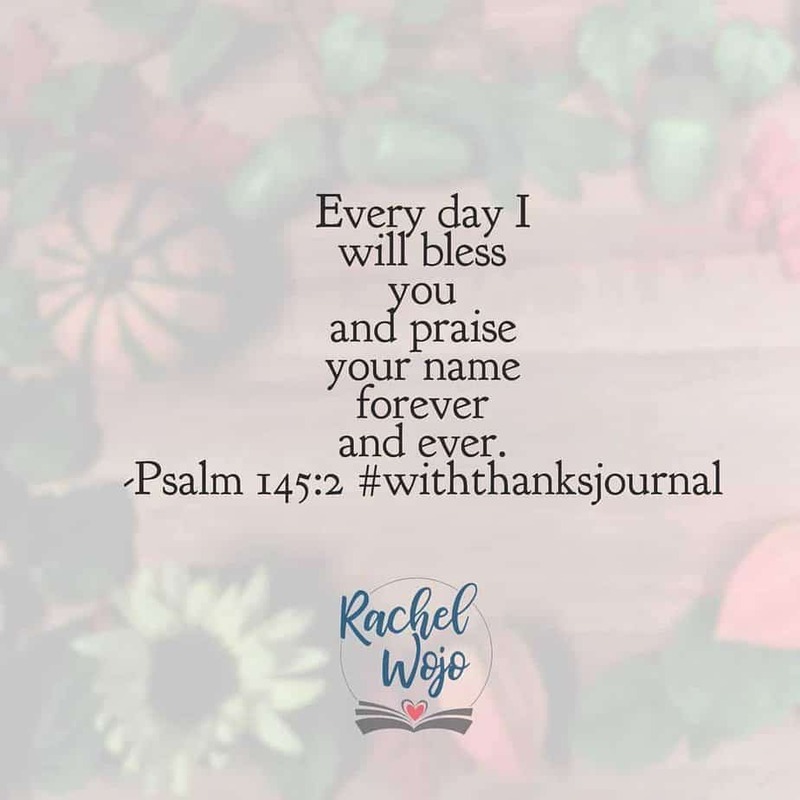 November 1st is here and we’re on a gratitude adventure for the entire month! I know it’s counter-cultural, but what if we took a month to pause and truly give thanks each day? What might our hearts look like at the end of this month? Dare you to try it! Grab a friend or a journal. Screenshot the graphic and read daily. You’ll find all the options at the link in profile. Here we go! 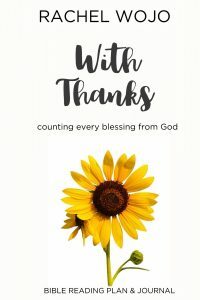 It’s easy to fall into a trap of thinking we have nothing to be thankful for. 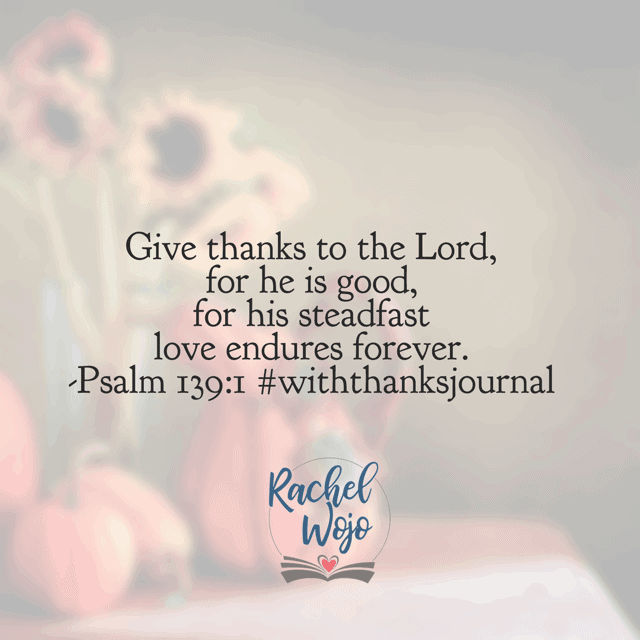 When life is hard and difficulties prevalent, giving thanks is not the natural recourse. But it is such a perspective changer. 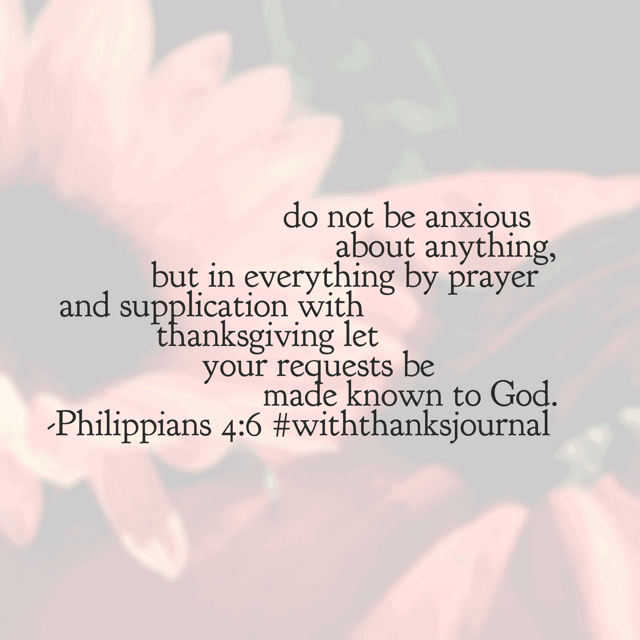 Father, I give you thanks in advance for the things I would miss today if not for an awareness of your Presence. Thank you for always being with me. Thank you for being the good God. Amen. 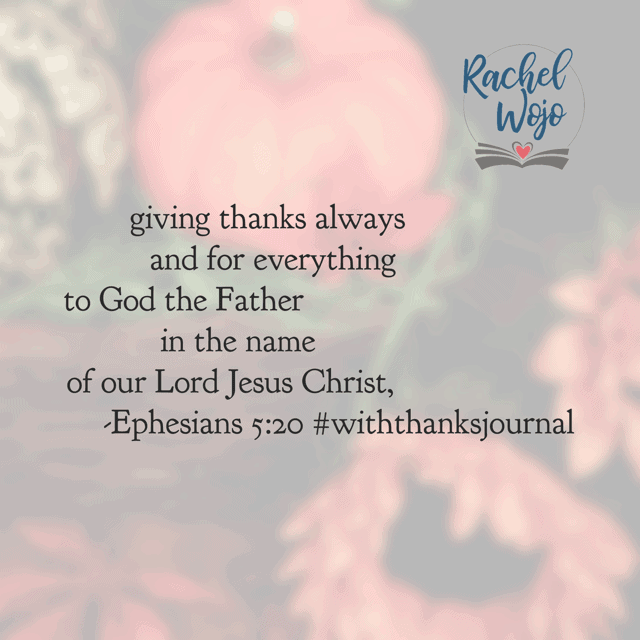 Giving thanks in prayer? Transforms your heart. Try it! This evening I’m counting my blessings. Again. Because it’s easy to forget them and they needed recounted. Amen? Hope your Sunday was superb! Father, this morning I lift up praise to you and bless your name. Your greatness can’t be searched neither understood by research. You have performed miracle after miracle in my own life. When I think of how you’ve resurrected this girl from nothingness to a victorious life of trusting you daily, I can’t help but praise you and thank you! Even though I’m not a morning person and even though it’s Monday. So I’m thanking you again for your Word and today’s reminder. Help me live it, Holy Spirit. I cannot do it without you. Amen. Good morning, Lord. This morning I come to you with a grateful heart, praising you for who you are. When the burdens seem to weigh more than the blessings, help me to remember it is You, not things that I adore. The earth’s deepest parts and the mountain’s highest peaks are in your hand. Help me to remember that. And with that reminder, help me recognize I too sit in the palm of your hand. Everything is in your hands. For this I give you praise this morning. Amen. Father, thank you for your never-changing, unending love. I can’t imagine where I would be without it. You still perform miracles today; give me eyes to see them in the hard places of life. Your creation declares reason to give thanks. May I follow their example. Amen. 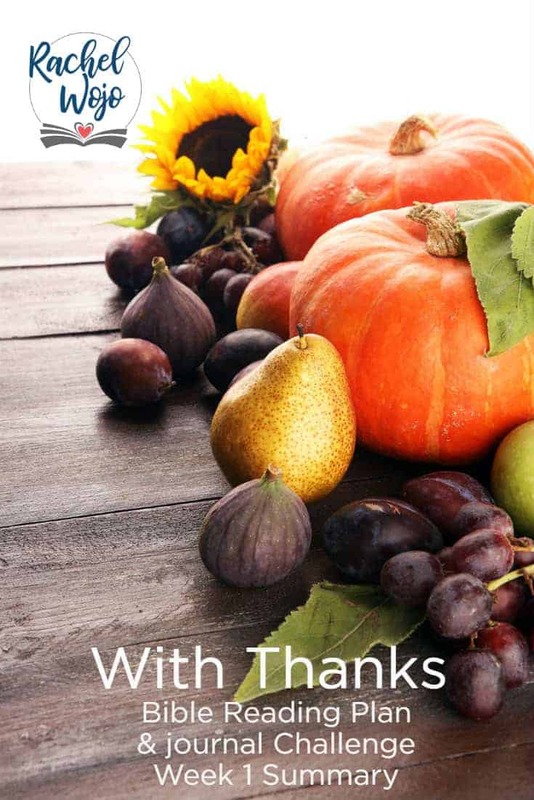 It’s easy to pass through a month intended for giving thanks and miss it. I don’t want to miss it. What if my heart was tuned to living a life of thanks? And that takes us through to last Friday, the end of week 1! 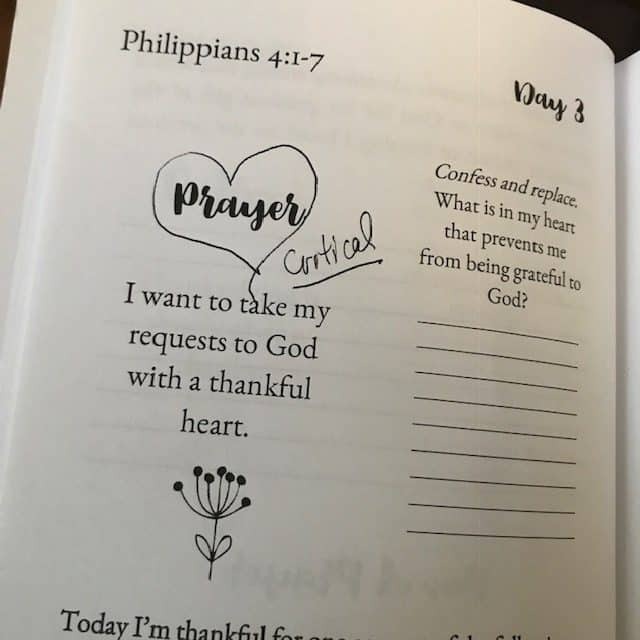 I pray that you are enjoying the opportunity to grow your faith through cultivating a thankful heart. Have a great week! Join us for this month’s challenge at any time! You’ll find the November Bible Reading Challenge details here.